I am the entrepreneur who first thought of the idea behind Cognilyze. I recruited my two co-founders, Bruce (Dov) and Ari, to join me. My background is in programming, including a few years working at Radware on web-based business intelligence (BI) systems and a few years working on consulting projects. I gained a lot of experience combining information processing in the cloud and user profiling. 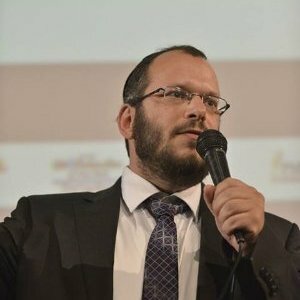 More recently, I studied Cognitive Science and Philosophy at Israel's Open University, building a strong background in cognitive psychology, computational modeling, artificial intelligence and neurophysiology. The idea for Cognilyze grew out of my thinking while studying Cognitive Science, on the intersection between cognitive theories and algorithms. As CEO of Cognilyze, I spend my time on product design, raising investment, and coordinating between the technology and business teams. It's great to see the concept becoming reality!